One of the most highly rated and anticipated match up in professional sports is about to happen tomorrow night. The Cleveland Cavaliers and the Golden Warriors will set off on their NBA Finals adventure which will be a rematch on a Thursday night from Oracle Arena in Oakland, CA. Starting the series on the road though won’t be a problem, since Cleveland has the NBA’s best record this post season at 12-2 (.857), that includes a 5-2 (.714) record on the road. So the won’t be easily intimidated and are ready to take their show on the road and perform. biggest margin entering the NBA Finals. The biggest through three rounds is +180 by the 1987 Lakers. And everyone knows how epic those teams were. This matchup is expected to be a high scoring series, since among the 16 playoff teams, Cleveland ranks 2nd at 106.9 points per game and is undefeated at 12-0 when scoring 100 points or more this postseason. The Wine and Gold are firing on all cylinders offensively, but they are doing the small things too, like doing the dirty work defensively and on the glass. Defensively, the Cavs have allowed 94.3 points per game, as they held their foes to under 100 points in 11 of their 14 games this postseason. That’s impressive but then again they did have a cake walk to the finals through Atlanta and Toronto. They are also outrebounding opponents, 43.0 to 37.1 (+5.9), which is the 2nd-biggest differential among all 16 postseason teams. So they have advantages on every tip. So who better to face off to win their first championship than the team who had a historic regular season, which saw them record an NBA record 73 wins: the Golden State Warriors battled their way through the Western Conference against tough teams to make it to this final. The Warriors posted a 12-5 record during the 2016 Playoffs, and put in the hard work to come back from a 3-1 deficit to the Oklahoma City Thunder in the Western Conference Finals to finally make it back to their second straight NBA Finals. True basketball and NBA fans are saying that this is the series they all wanted to see. A rematch of last year’s NBA Finals’ rivals. 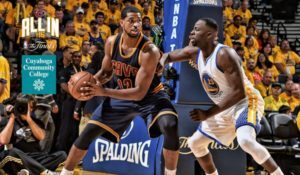 The defending champions, Golden State fought to get this chance to give their nemesis the Cavs, a deja vu. The match up boils down to the two stars of the team, Warriors’ sensation Stephen Curry and his band of brothers who became only the 10th team in league history to battle back from a 3-1 deficit to win a series. The other being the mighty LeBron James and his merry men who are 12-2 in the playoffs. Seeing these two Titans face off again, and fight for the championship seems so appropriate, as it seems like they have unfinished business and were destined to meet again. When you break it down, you cannot deny the incredible three-point shooting display of Curry and Klay Thompson in this postseason. Their play has cemented their legacy as the best shooting backcourt in the game’s history. Following the lead of Curry and Thompson, the Warriors set an NBA record for three-pointers made (90) in a seven-game series in the Western Conference finals against Oklahoma City. James, who deservedly has reached his sixth consecutive NBA Finals, now has the support he didn’t have last year in the Finals, where the Cavs lost in six games. Cavs guard Kyrie Irving who was out with a knee injury in Game 1 of the Finals, and forward Kevin Love who was out with a shoulder injury in the first round of the postseason, are now both healthy. That means the Cavaliers can play small-ball and shoot from deep as well which means they are deadly from all sides of the ball. 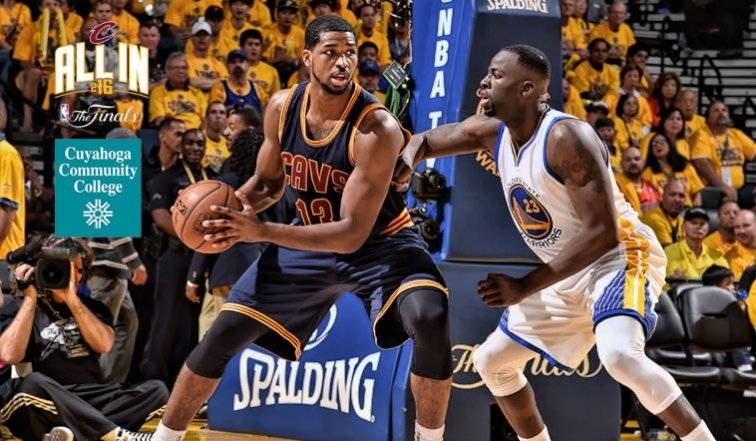 Outside the Curry-James matchup, there is also the defensive matchups to keep an eye on. One being James versus Andre Iguodala, who is a supreme defender who just got done guarding Thunder scoring star Kevin Durant and shut him down. Iguodala was voted the most valuable player of last season’s Finals so he could easily repeat that award. Accompanied by Curry, the front and back courts now look almost unbeatable. We think they can get it done again, since the NBA’s best-ever 73-win regular season would be incomplete if the Warriors weren’t able to bring the trophy home. And the road to that victory means they need to win Game One at home, no matter how tough of an act James and Co. will be the second time around. Curry and his crew should be able to top off their glorious season by putting the cherry on top and winning in six games. Just like last year, just a bit sweeter.